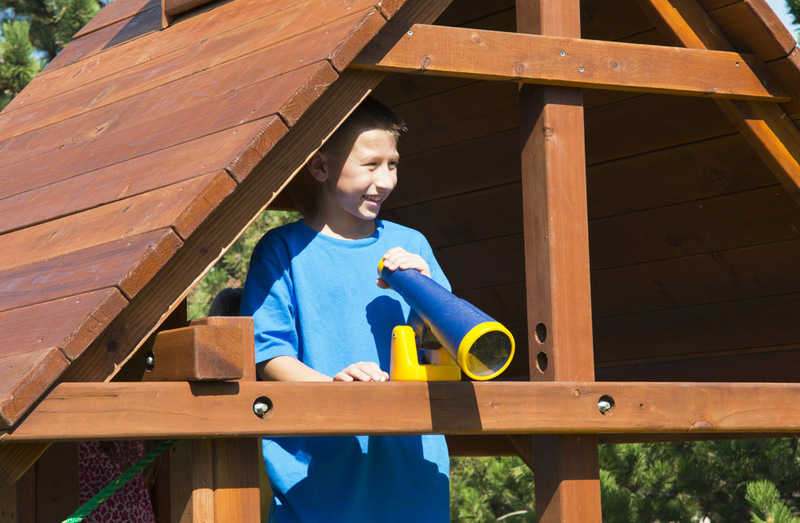 Let your child's imagination and adventure take flight. 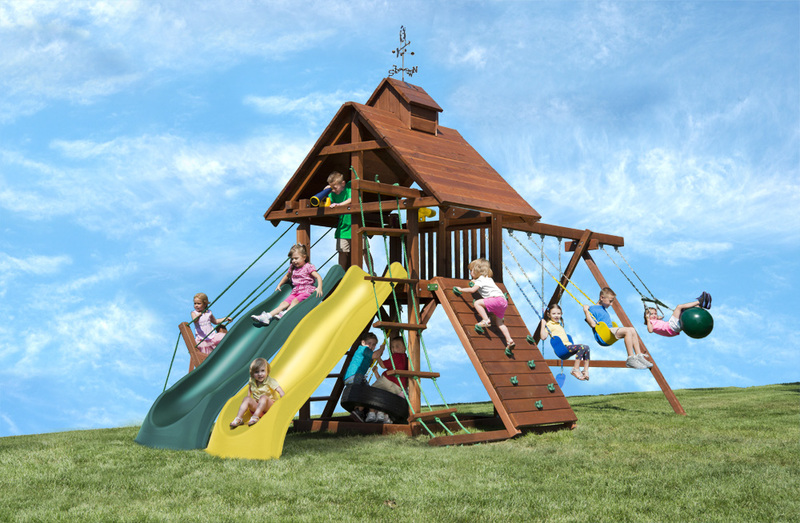 Whether swinging to new heights or racing down the side-by-side slides, your kids will enjoy hours of active and imaginative play on the Windjammer swing set. 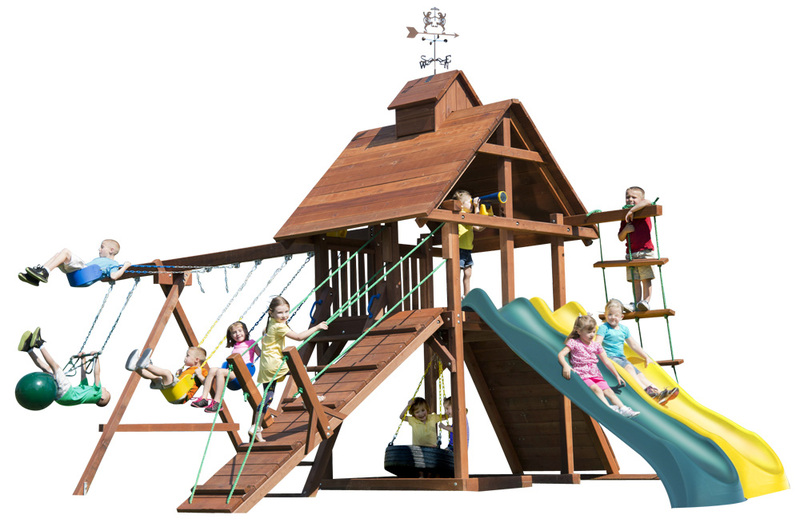 To access the gorgeous play fort, children have the option of climbing the ladder, rock wall or whimsical drawbridge. 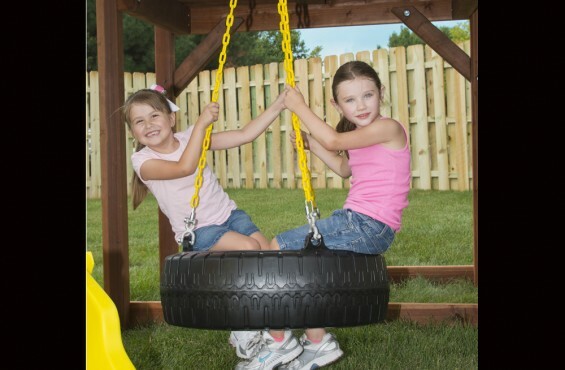 For diverse play throughout the day, children can try out the trapeze bar with buoy ball or sway back and forth on the tire swing. 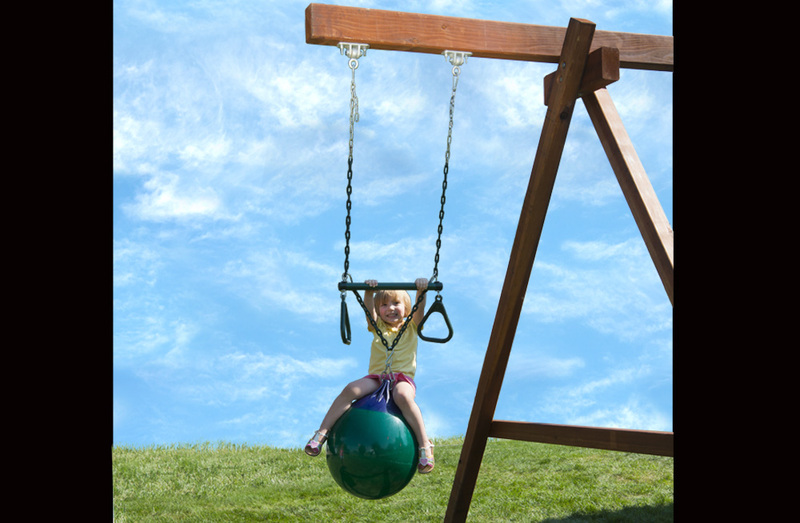 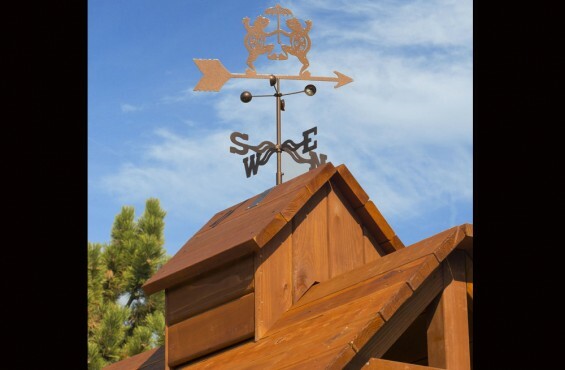 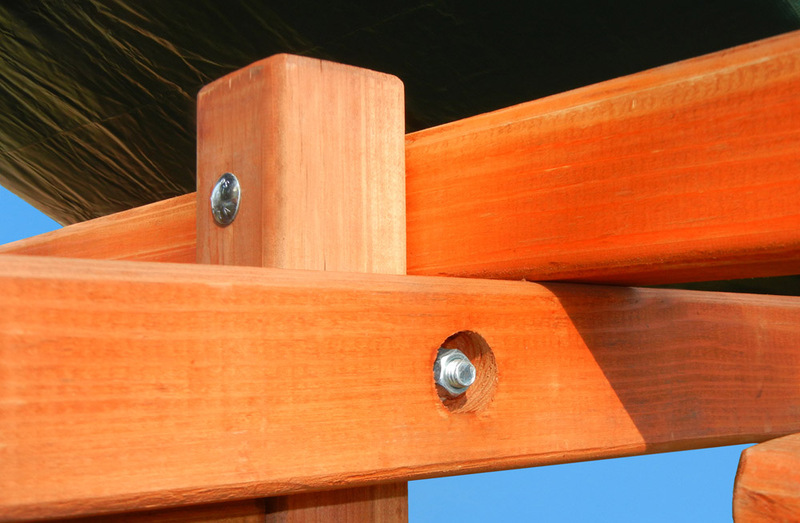 Hand-crafted in America with 100% California redwood, your swing set will be well protected from the elements while stepping up to the toughest play on the block. 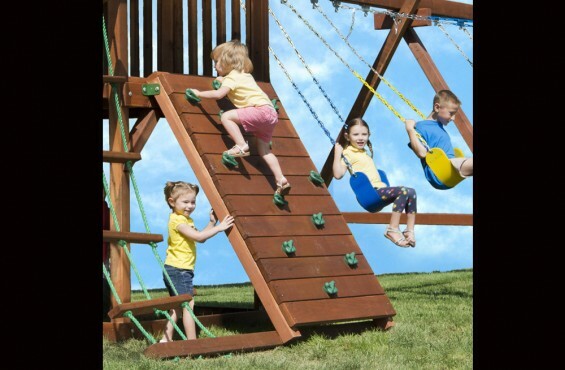 All edges are rounded to ensure they are smooth to the touch so your children’s adventure will never be disrupted. Let the adventure begin! 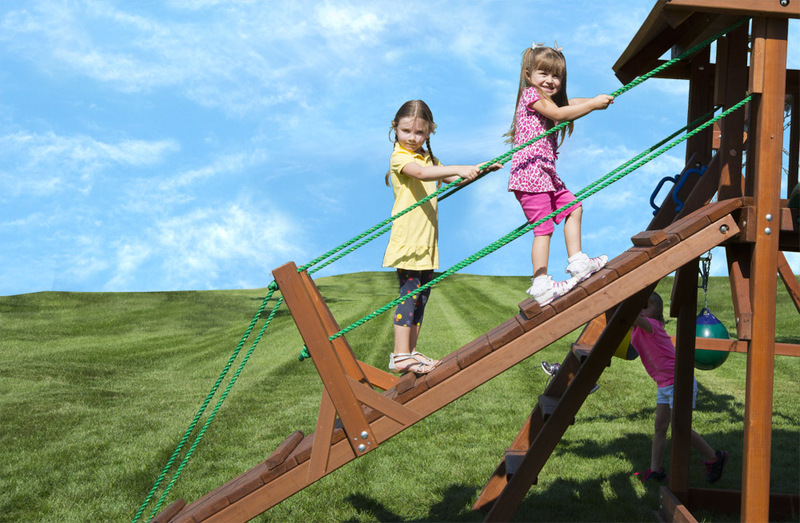 Drawbridge length: 110" | Width: 23 5/8"
ASTM guidelines recommended a 6’ safety perimeter around your swing set as well as overhead. 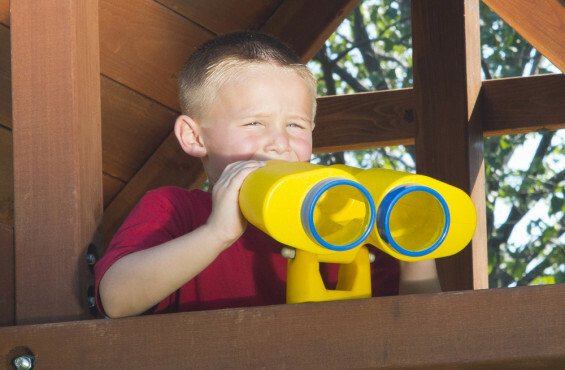 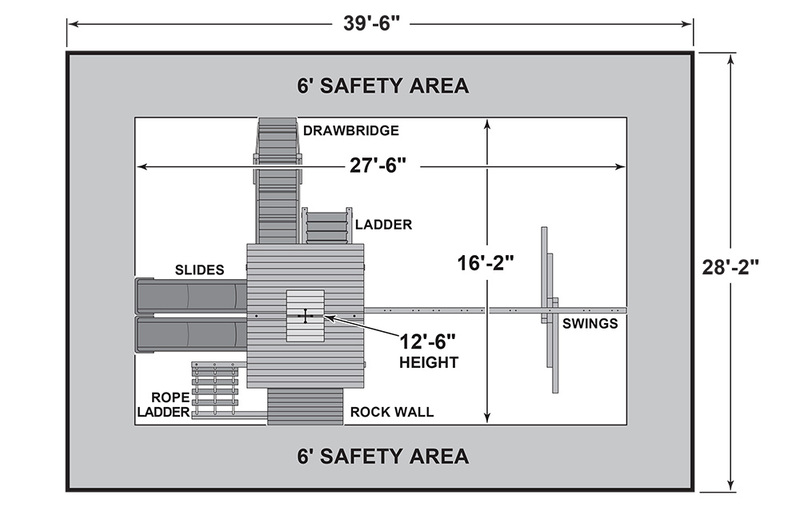 See safety zone below to determine how much play area you will need in your backyard. 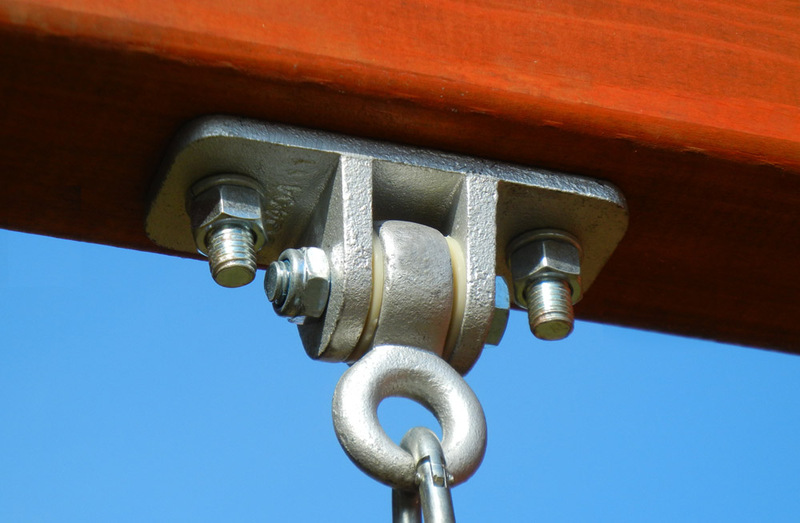 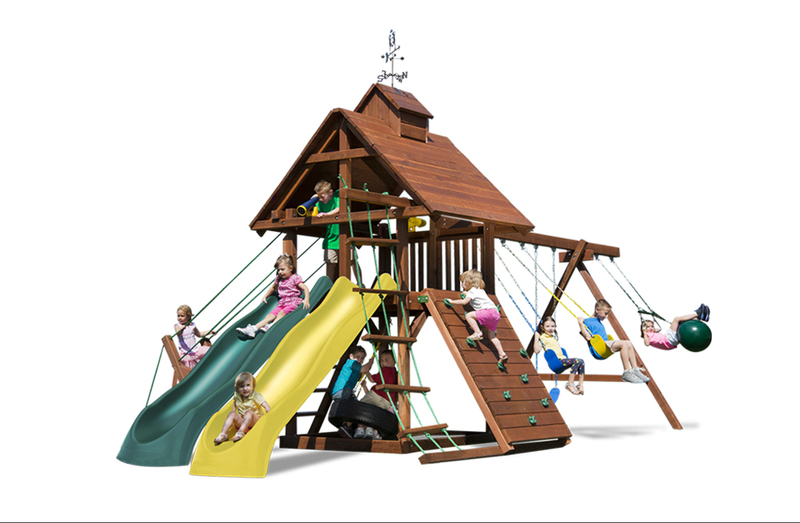 We also offer professional installation on the Windjammer swing set for $299.